On March 1, 1842, the Church newspaper Times and Seasons published a letter that Joseph Smith had written to a Chicago newspaper reporter named John Wentworth. In this letter, Joseph wrote a list of statements about LDS doctrine that would later become the Articles of Faith. The third statement on this list reads: “We believe that through the Atonement of Christ, all mankind may be saved, by obedience to the laws and ordinances of the Gospel” (Articles of Faith 1:3). At first glance, this statement, as well as many other statements Joseph made about Christ, look like basic summaries of doctrine gleaned from the Bible. However, early Mormon understanding of Jesus Christ and the Atonement actually seem to more closely reflect the Book of Mormon. King Benjamin, for example, stated that a person who keeps the commandments could receive “salvation, through the atonement which was prepared from the foundation of the world for all mankind” (Mosiah 4:6–7). This statement is very similar to the third Article of Faith: that through the Atonement, salvation can come to all mankind, if they are obedient. In addition, Joseph’s use of the word “atonement” suggests a Book of Mormon background. The word only appears once in the entire New Testament (Romans 5:11), yet it appears more than twenty-five times in the Book of Mormon. Thus it seems likely that the Book of Mormon helped shape Joseph Smith’s theological vocabulary and understanding. The Book of Mormon may also have shaped what he chose to emphasize. His emphasis on obedience, for example, may be telling. In the Book of Mormon, apostate Nephites expressed the belief that “all mankind should be saved” unconditionally (Alma 1:4; 21:6). In fact, Alma 1:4 is the only time the phrase “all mankind … be saved” appears in the scriptures outside this article of faith. Thus, it is possible that Joseph Smith had this statement in mind when he wrote that “all mankind may be saved” only “by obedience to the laws and ordinances of the gospel” (Articles of Faith 1:3). It is almost as though Joseph was recalling and responding to Nehor’s ideas when he wrote this article of faith. Many of the revelations recorded in the Doctrine and Covenants also seem to assume that Joseph and his audience knew the Book of Mormon well enough to pick up on references to it. Shortly after the Book of Mormon was published, Martin Harris received a revelation through Joseph Smith. In this revelation, the Lord said His “suffering caused myself, even God, the greatest of all, to tremble because of pain, and to bleed at every pore, and to suffer both body and spirit” (Doctrine and Covenants 19:18, emphasis added). 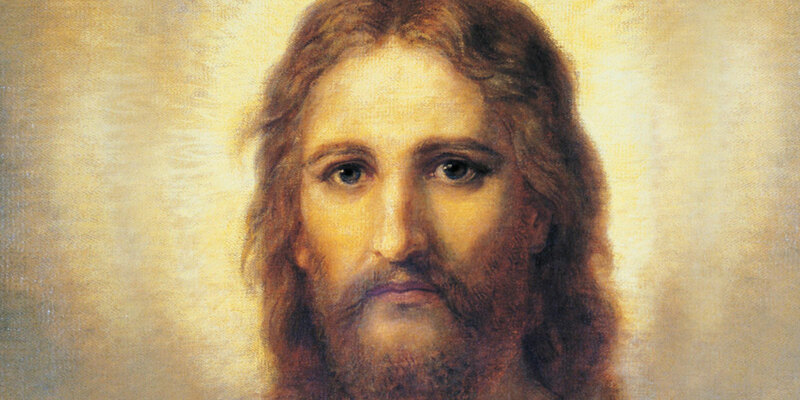 That Joseph Smith’s ideas and wordings about Christ and the Atonement were likely shaped, to a significant degree, by the Book of Mormon is remarkable considering that he personally communicated with the Savior on multiple occasions. Even with all his visions, Joseph seems to have drawn on the Book of Mormon for knowledge about Christ, and Christ seems to have alluded to the Book of Mormon when revealing Himself to Joseph. Knowing that even Joseph Smith’s views about Christ were shaped by the Book of Mormon, modern readers can, all the more, turn to it in the same way, allowing their understanding of Christ to be informed and enriched by it as well. On the evening of September 21, 1823, the angel Moroni told Joseph that the book that he would bring forth would contain “the fullness of the everlasting Gospel.” Never forgetting this, Joseph knew until the day he died that important truths about Christ were to be gleaned from the pages of the Book of Mormon. Modern readers can likewise continue, throughout their lives, to gather important insights into the eternal mission, gospel, and atonement of Christ by repeatedly contemplating the words of this testament of Jesus Christ. [The Atonement of Jesus Christ] is the very root of Christian doctrine. You may know much about the gospel as it branches out from there, but if you only know the branches and those branches do not touch that root, if they have been cut free from that truth, there will be no life nor substance nor redemption in them. 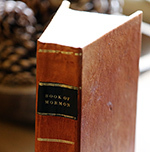 The Book of Mormon can help readers to connect to the root of the gospel and understand the Atonement in all its depth and beauty, just as Joseph Smith did. Gerald E. Smith, Schooling the Prophet: How the Book of Mormon Influenced Joseph Smith and the Early Restoration (Provo, UT: Neal A. Maxwell Institute for Religious Scholarship, 2015), 56–58. Steven C. Harper, Making Sense of the Doctrine and Covenants: A Guided Tour through Modern Revelation (Salt Lake City, UT: Deseret Book, 2008), 68–69. Ed J. Pinegar, Richard J. Allen, and Karl R. Anderson, Teachings and Commentaries on the Doctrine and Covenants (American Fork, UT: Covenant Communications, 2008), 250–252. Obviously, many of Joseph Smith’s ideas about Christ also came from visions of Christ Himself. See, for example, Doctrine and Covenants 76:14, 24; 110:1–10. The word occurs frequently in the Old Testament, but is not explicitly associated with Christ. For a discussion of atonement in the Book of Mormon, see, for example, 1 Nephi 10:6; 2 Nephi 2:6-9; 9:6-9; Alma 7:11-12; 11:37-45; 12:16-18; 22:14; 42:6; 3 Nephi 27:13-14; and Moroni 8:8, among many others. James Strong, ed., “Atonement,” The New Strong’s Expanded Exhaustive Concordance of the Bible (Nashville, TN: Thomas Nelson Publishers, 2001). Smith, Schooling the Prophet, 56. For an impressive example of one of these occasions, see Ed J. Pinegar, Richard J. Allen, and Karl R. Anderson, Teachings and Commentaries on the Doctrine and Covenants (American Fork, UT: Covenant Communications, 2008), 250–252. See the “Testimony of the Prophet Joseph Smith” at the beginning of current editions of the Book of Mormon. President Boyd K. Packer, “The Cornerstones of Our Faith,” Ensign, May 1977, 56.